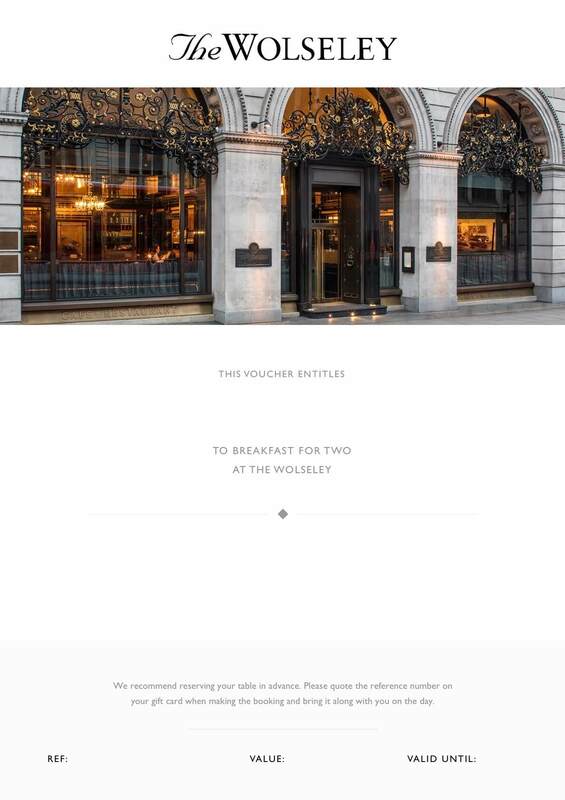 Treat two of your friends or family to the unique experience that is Breakfast at The Wolseley with this covetable gift card. Presented in a black box with gold detailing, it can be dispatched to you or directly to your recipient. Also available for immediate download as an E-Voucher. Please note, only the message field will print onto the card. Your recipient can select items from our Breakfast Menu up to the value of £60 (£30 each for two persons dining) Monday-Friday 7am – 11.30am or Saturday-Sunday 8am – 11.30am. Alternatively, the Gift Card can be redeemed during any other service.